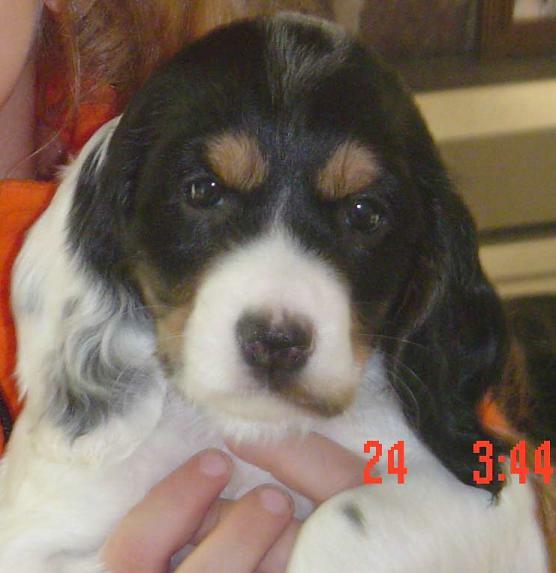 Importing a Russian Spaniel puppy from Russia to the USA? 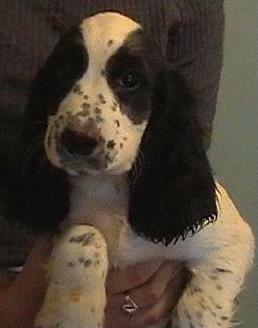 We had no trouble acquiring our Russian Spaniel. We were not hesitant at all about importing him. 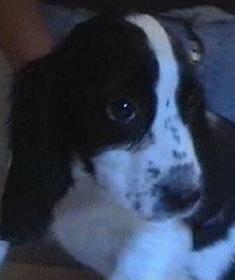 The Russian Spaniel club was helpful in explaining the procedure and in acquiring our pup. It was painless. Getting our dog Riley here from Russia was so easy. So many people were skeptical when I told them I was importing a Russian Spaniel - no one could believe I wired the money and really believed I would actually get a dog, never mind a healthy dog, in return! Anna kept in touch via email so we knew the progress of Riley's shots, and once he got them, we knew it would be about 30 days. He came into San Francisco on a Saturday afternoon, we picked up the paperwork at the cargo terminal, took it to customs, they stamped it, then we took it back and got our dog!! It took less than an hour after he landed to have him. Riley is the most amazing dog - smart and loyal. He has been with us for going on two weeks and he fits right in with the family, is "almost" potty trained, sleeps 9 hours through the night, and has a clean bill of health from our vet. Her comment after his visit was "you've got yourself one wonderful dog" and we agree! Russia, from people we didn't know. It was a large sum of money to be sending to someone with no guarantees. And I am amazed at how everything did eventually work out with only one missed flight. Raina is healthy, happy and a bundle of energy and we are very happy to have her! 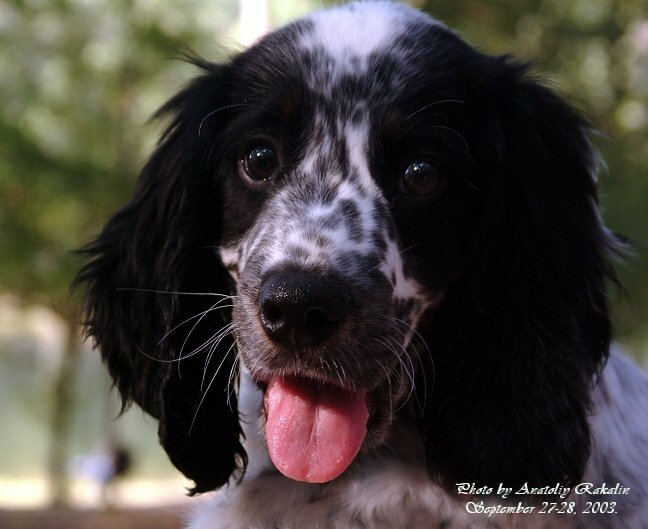 If you are serious about importing a Russian Spaniel Puppy, the Russian Spaniel Club and Anna are the way to do it! 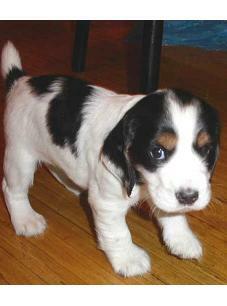 When we decided a Russian Spaniel was the puppy for us, we were very skeptical about importing it from Russia. We were nervous about sending a large amount of money to Russia, to a stranger, without any guarantees. 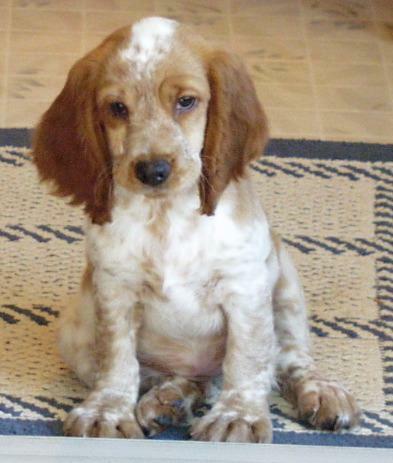 We wondered if we would ever see a puppy; and if we did see a puppy, would it really be a Russian Spaniel puppy. Well, we not only saw a Russian Spaniel puppy at the cargo terminal at the airport; we saw OUR happy, healthy, friendly Russian Spaniel puppy. Our vet's office was thrilled to actually meet a Russian Spaniel and she received a clean bill of health from them. Elena, our puppy keeper, took very good care of Nika and she has had no problems adjusting to our family (including our son's black lab/airedale mix who visits often). She melts the hearts of everyone who meets her! We spent six months looking at different breeds trying to find one that fit with us. 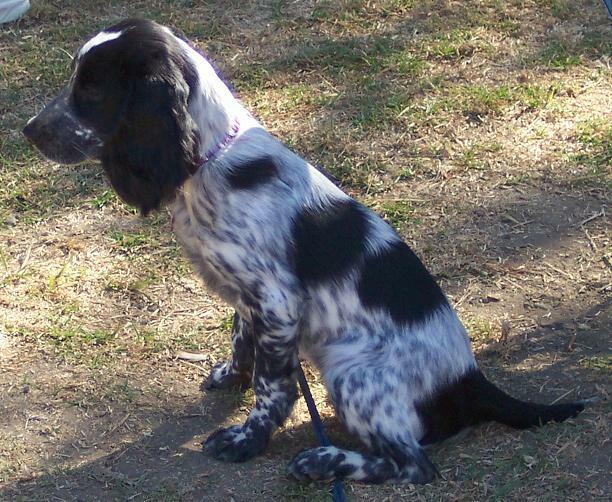 The one dog that embodied everything we were looking for was the Russian Spaniel. I was very hesitant about getting a dog through the internet. I requested to speak directly to one of the club officers to relieve my anxiety. The VP gave me her number and spoke over the phone. I felt more secure and three weeks later had a beautiful baby girl. Her name is Belka and she is everything that we hoped she would be. I would deffinitely do it agaiin. The club officers are very helpful and accommodating and made the experience of getting a Russian Spaniel from Russia straightforward and troublefree. Meredith Myers, owner of Beloshka, Tucson, AZ. Russian Spaniel Club. I contacted her to find out more information and where I can find a puppy. Imagine the surprise when she says Russia - I almost let the conversation end, the $ signs flew across my head but I asked more questions and found out that it wasn't any difference price wise than buying a AKC registered puppy here. So we started the process of finding a litter (or I should say Anna did). She found the litter, contacted the breeder, made all of the arrangements and even introduced me to a couple in San Jose that wanted a puppy and we were able to split some of the costs, Fran and Brian. I think our journey was a little more unique being that we were bringing 2 pups together and had a carrier and we had a few road blocks and I didn't let out my breath until they landed in the US. I did have a few reservations wiring money to someone that I didn't know in a country that I had never been for a pup that I had never held and only had a picture. It was a great leap of faith and I would do it again. Chelsee is the most wonderful dog with a bright personality and is the joy of my life. So much so that I am now thinking of bringing over another pup in the future. Oh, and Chelsee's sister Tillie - we stay in touch and let the girls visit each other. They are family now. I found the Club by searching for "Russian Spaniel" on the Internet. Even though I am from Ukraine and could have done everything myself, I wanted professional people to find and deliver the dog. With this letter I would like to thank Anna and Liz, who were in touch with clubs in Russia for couple of months, and in the end, gave me an opportunity to choose the puppy I was looking for. For those who can not decide, I would like to say that it's big issue to find healthy and strong puppy in USA, because of inbreeding. Russian breeders always had serious concerns for breeding healthy dogs. I can truly say that by buying a puppy from Russia you are not only getting faithful friend, but also a healthy and strong puppy!!! Last year we lost our beloved beagle Bailey, and were soon looking for a new puppy. since we are embarking on a 3 year adventure aboard our boat, we has a long list of characteristics we wanted in a dog. after an extensive internet search, we came across The Russian spaniel, only to find out they were not available in this country. 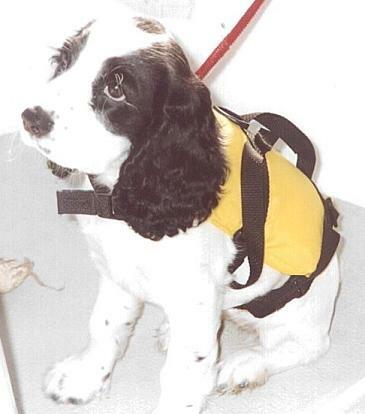 we contacted the russian Spaniel club, and anna took us by the hand and led us through the process and stuck with us even though there were some up's and down's and some breath holding times. Finally our puppiy Tilley along with her sister Chelsee arrived in Houston, an Fran and I drove there to pick them up. This would have been somewhere between very difficult and impossible to do with out the club and especially Anna's help.